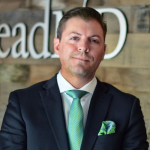 So, Q (otherwise known as Michael) asked me to write a post on the “marketing blogs you should read religiously.” First off, congratulations on reading the LeadMD blog – you’re already hip to #1. But, we’re not the only ones with insight into marketing – and strong opinions about what you should be doing. I want to make it easy to find the best blogs out there, always. A constantly revised and updated list, that takes into account the content being written, the authority of the expertise and their ability to get traction socially. Quite the undertaking! But that’s what I’m here for – this list is only a click away! Thanks so much and happy hunting! Still reading? Okay, good. Because you’re the people I want to be talking to – people who are tired of the navel-gazing, self-congratulating marketing lists out there on the Web. Don’t get me wrong –they all put out high-quality content! They really, really do. But that content isn’t as valuable to me anymore because I’m deep in this stuff everyday: I spend a significant amount of my time doing and breathing marketing for several different companies. As humbly as it can be said, everyone at LeadMD is right there on the cutting edge with these top bloggers (if not a few steps ahead). Before I give a brief list of what I read regularly, I want to set the stage a bit because we’re heading in a different direction than most might expect. Kevin Smith told a story about when he was writing the film Red State – stay with me, I promise there’s a connection. When Smith was writing the first drafts of Red State, he was in a bit of a funk. As the script was going on, he’d get bored because every point in the plot was becoming obvious. So, to switch things up, he’d make a wild jump every time he got ahead of the story. As soon as he got bored, he’d change the direction toward something completely unexpected. Instead of writing the movie everyone, including Smith, expected – he kept it interesting and exciting by doing the unexpected. That’s why my list of must-reads differs starkly from the rest in the industry – everything started sounding the same, and I decided it was time to jump. With that lengthy intro complete, without any further ado, etc. etc. The List of Blogs that Have Made Me a Better Marketer. There’s a theme to all of these – staying hyper-focused on the customer and simplification. Before we had bloggers, people wrote open letters and essays. Fair warning – Seneca may be concise, but his message is also very dense. I spend about a month digesting each letter even though the letters can be read in about five minutes. The first letter I read is still my favorite – Letter 2 – On Discursiveness in Reading. The message, in short – finds just one or two masters to learn from, and goes deep with them. Studying everything by everyone will give you no time to absorb anything. Not only is this important for study, but it also applies to success in marketing: find the one or two things your customers value most and be the absolute, undisputed best at those things. GaryVee was my real introduction to some of the things I love most… startups and wine. Before he was the social media juggernaut that he is today, he was a crazy guy with a big personality and wine video blog. Gary’s mastered content for just about every social platform, but I love most what he’s been doing on Medium. The posts are pithy, and Gary delivers a clear message every time – focus on the value for the audience and talk to them the way they want. There’s simply nobody better at giving a damn and getting it done than Gary. Noah Kagan has an impressive resume — #30 at Facebook, #4 at Mint before founding AppSumo. One of the things I love about Noah is that he has the art of building a business down to a very simple, repeatable process. He’s all about simplification – for the customer and everything else. One of my favorites from last year was about making decisions simple. Marketers frequently get caught up in details that really don’t matter – a waste of time and energy that distract from hyper-focus on the customer and their needs. OkDork is great for cutting through your own BS and staying focused on what really provides value to your customers (and your business). That’s it, really. If you can be as hyper-focused on the customer as Gary Vaynerchuk is, and become a master of simplification like Noah Kagan, everything in your marketing will flow from there.